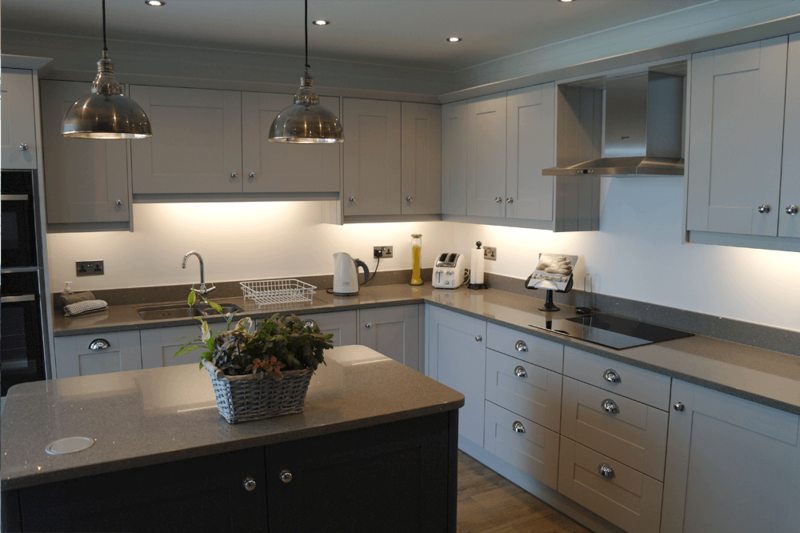 Mr & Mrs Bentley approached the KAW team to see how they could make better space of a small kitchen which has since been opened up into a Garden Room overlooking a lovely landscaped garden. We came up with a few designs for Mr & Mrs Bentley and the finished project has really impressed them. 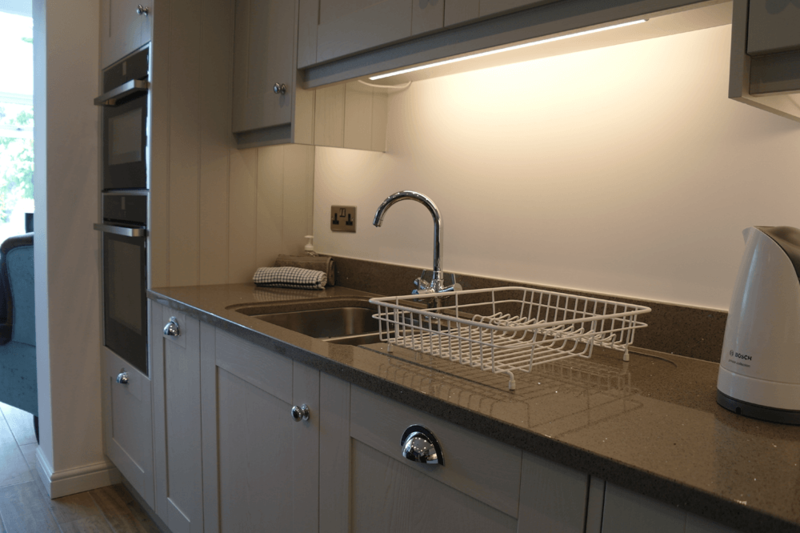 The kitchen space is quite small so we suggested that the positioning of the oven and hobs needed to be moved around to suit the customers’ needs best. 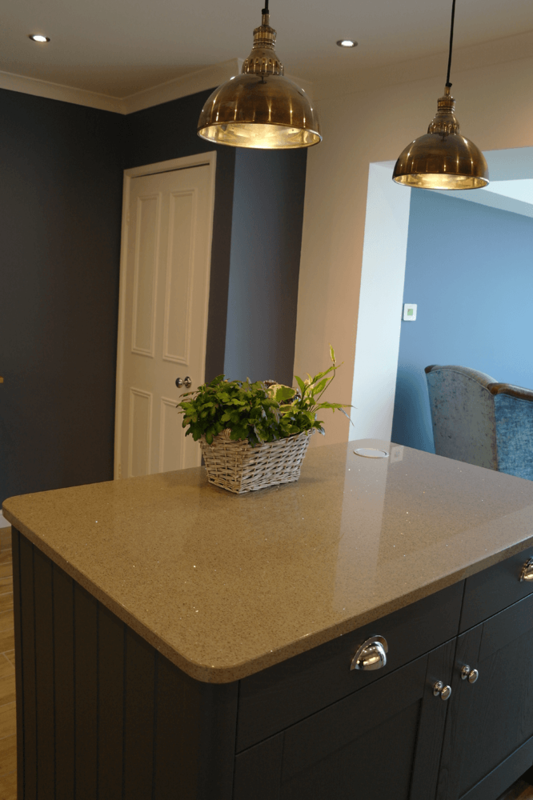 They decided to go with a suggested light blue / grey colour theme throughout the newly decorated garden room and this was complimented with a very light kitchen space and island with a matching blue / grey base. 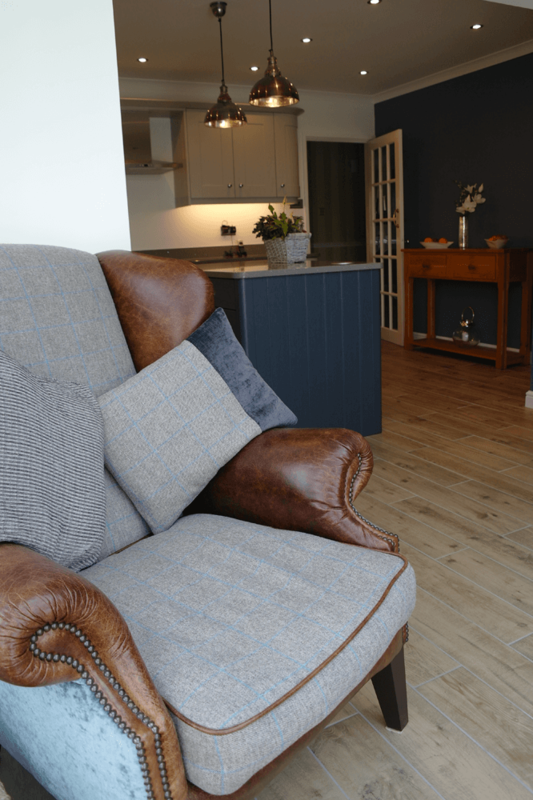 The garden room was already built and brand new ceramic flooring had already been laid before our team started to install, so a great deal of care and attention was paid to the project when removing and installing the kitchen to ensure no damage was made to the new floor. 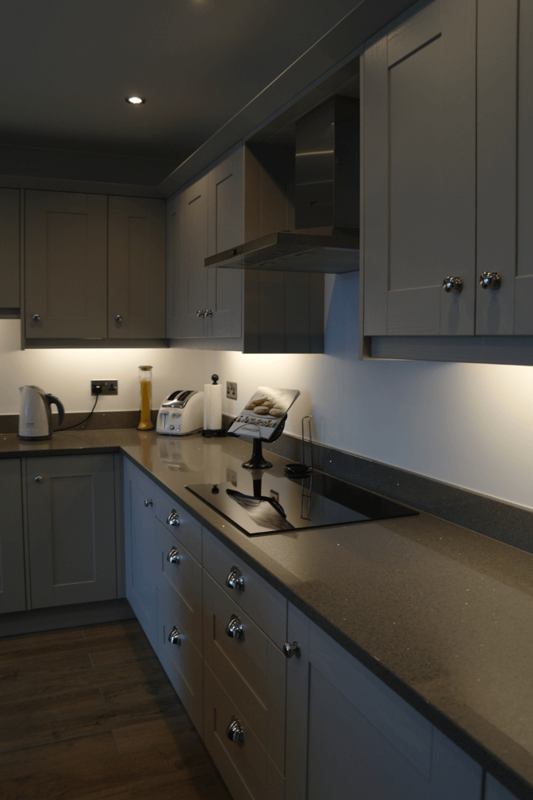 Mr & Mrs Bentley are very pleased with their new open plan kitchen and efficient appliances, not to mention the talking point of their island with a pop out plug socket that rises up from the island at the push of a button.